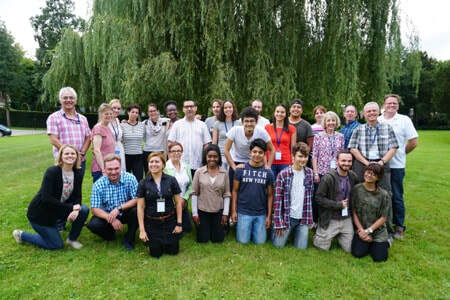 The second HM journey took place in mid-August 2018 with participants gathering from Belgium, France and Luxembourg. We had a super time exploring the 8 Core Values of biblical leadership and were greatly blessed in our times of sharing together. It was particularly encouraging to have three nations gathering and uniting around the common goal of wanting to make a difference in today's generation in Jesus' Name. Please pray for the young leaders as they work out what God worked in during this week together. ﻿﻿The first ever HM Belgium took place in August. 19 young leaders gathered from across the country, meeting in Brussels. ​Conducted in French, and with some great teaching from invited faculty, it proved to be an exceptional week with much testimony. Plans are afoot for multiplying the training far and wide and we have much anticipation of the days ahead. "It is amazing. Every day God is speaking to me. No, every session God is speaking to me!" "[This week] has changed my life"
​Join us on the streets?